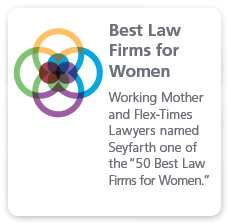 Businesses of all sizes rely on Seyfarth Shaw’s experienced Workplace Policies and Handbooks team to help them address business realities while ensuring that policies and procedures not only are legally compliant but also work to reduce litigation and, when litigation occurs, aid in the defense of the lawsuit. Our team includes some of the leading authorities on the development and implementation of policies and issues that may arise with such policies. For all of our clients, we strive to ensure that they are compliant with existing rules and regulations to avoid the risks of litigation and related workplace challenges. We revise outdated policies and handbooks, tailor new template policies to conform to our clients’ specific needs, help establish internal systems to efficiently implement those policies and provide user-friendly training for key personnel. Our approach also prioritizes positive employee relations and enhanced productivity. This blog turns a spotlight on issues facing employers in today's challenging environment. 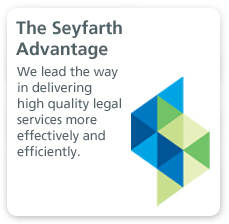 Seyfarth earns Top 10 ranking in BTI Power Elite for superior client relationships. 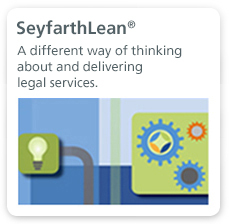 A different way of thinking about and delivering legal services.